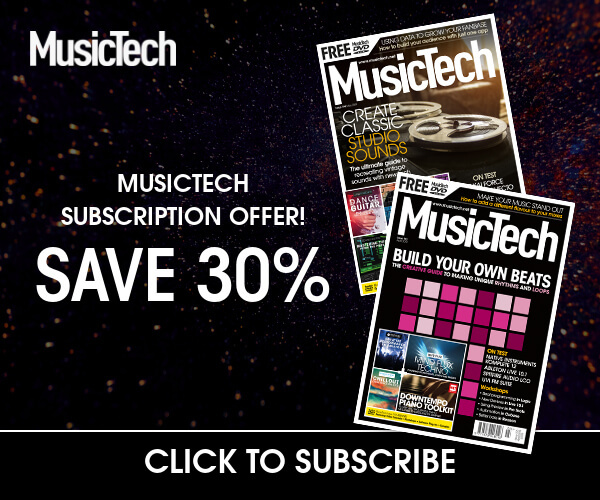 As I have said in another recent soft synth review – that of Audiaire’s Zone, not a million miles away in this issue on page 94/on this website (delete according to where and how you are reading this), soft synths need something to stand out these days. There’s so much competition from the modular scene – from more ‘standard’ hardware keyboard synths and modules, from freeware and from the synths already bundled with your DAWs – that software-synth developers simply have to put the effort in, or else their wares will be lost, rather like tears in the rain. However, the fact that these developers have to work so hard has resulted in some cracking releases for all of us. The ‘problem’ though – and this is such a first-world one that I’m almost tempted not to write it – is that they are so good, so relatively inexpensive to add to your collection and in many cases, so innovative – that I’ve simply got too many. The result of this surfeit of soft-synth options at my fingertips is that I’m not diving in to any of the ones I have beyond a superficial level; I’m using them merely as instruments rather than synthesisers. I’m not, even more annoyingly, following my own advice – which is to learn how to use one synthesiser really well and rely on it to create just about any sound you need. If you’re finding your self in the same position and doing the same thing, then you, like me, are probably looking at your plug-in list with crushing guilt. Just look at all those dandies to choose from – and I know so few of them all that well. And it is easy to blame yourself, you lazy good-for-nothing so and so… However, it’s not all our fault. Sometimes, these soft synths are exceptionally hard to get to know. They seem like impenetrable monsters that hide their innards behind endless tabs and menus. Well, you’ll have no way to hide your guilt should you ever buy Pigments. It’s one of the most enticing synthesisers ever released and makes seeing – as well as hearing – what you are doing almost child’s play. And in doing so, it ticks the ‘something to stand out’ box with some aplomb. Those Arturia developers have clearly been busy. Okay, here’s the crux of this review right up front. Pigments is a fantastic-looking synth – in the main. Not fantastic-sounding, you say? Not with a powerful engine, you ask? Actually, it sounds great and has an immense engine or two, but really, this synth is equally about what you see as it is about what you hear. Arturia has, it claims, spent 20 years studying and recreating classic synths and has put all that knowledge into Pigments. That’s not to say that it is an amalgamation of a bunch of classic synths; in fact, if anything, it’s the opposite. 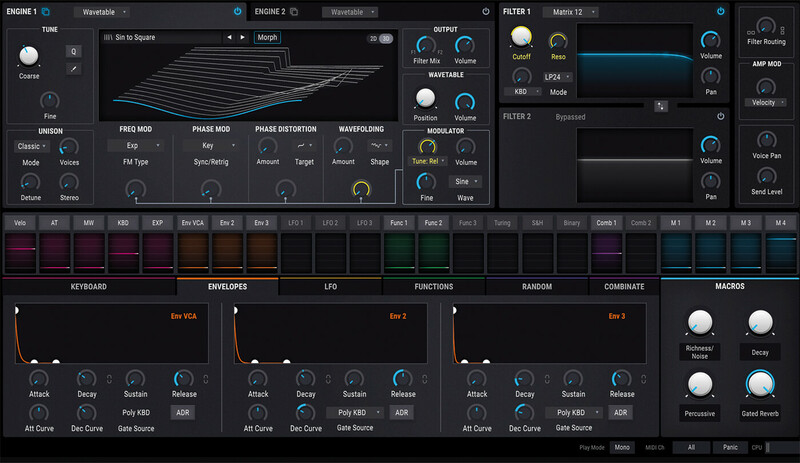 Arturia has spent those two decades recreating classic hardware in software. Now the company’s turned that on its head to create a synth that uses software properly; that is, to present sound to you in a beautiful way, sound that you can see and, so importantly, sound that you can watch transform as you synthesise it. So, for example, you’ll load in a preset and you can see all of that sound’s constituent parts on screen and watch them cycle away and see the resulting sound change as they do. All of the ingredients are there to see and tweak and as you do, watch and listen as the sound transforms. Is that really something new, you might ask? Sure, other synths do it, but Pigments delivers all of it as dozens of lovely looking oscilloscopes, envelopes and charts, all colour coordinated. Once again, I’m talking ‘looks’ over sound. Bizarre, eh? Really, the best way to get your head around Pigments is to simply dive in and have a look around. 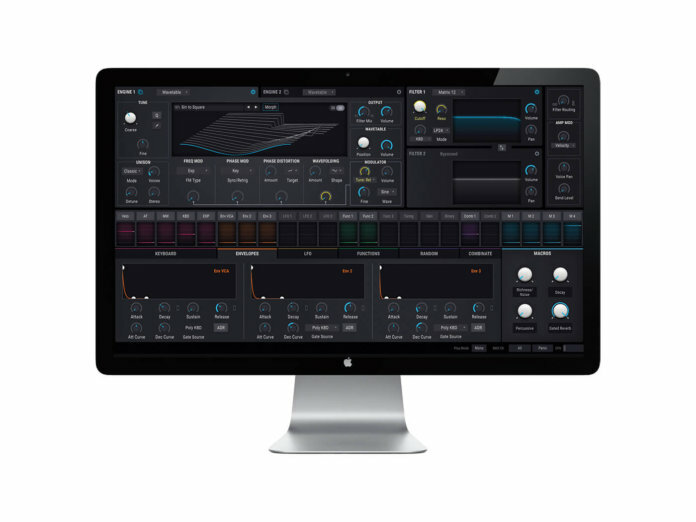 You get two engines that can be based on virtual analogue or wavetable. Simply click between these, assign them to either or both engines or just to one type. The VA engine has three oscillators with their waveforms shown, which – and I’ll be saying this a lot, if I haven’t already – move as you adjust anything. Modulate them, change their shape, speed… whatever you do, watch them move. Same goes for the Wavetable engine: view them in 2D or 3D, move between them, modulate, use phase distortion, whatever you do, it comes alive on screen. To the right of these, you get a couple of filters that can be routed in series or parallel, each with plenty of types including Matrix 12, Mini and SEM, based on some classic synths. The bottom half of the screen is where things get really interesting and you start to realise this synth’s strengths in modulation. There are more than 20 parameters – again, with their various waveshapes and forms shown – across half-a-dozen tabbed categories, all nicely colour matched. So you get yellow LFOs times three, orange envelopes times three, pink keyboard functions times five and so on. The chief design element in Pigments – and why it works so well – is that hovering over each of these parameter names will indicate in its constituent colour where else on the synth it is connected to. Hover over LFO 2, for example, and it shows you what that LFO is modulating. Feel you want to connect it to something else? Simply go to whatever you want it to modulate and an up/down arrow appears; you then click, drag and determine the amount. In this way, it’s delightfully easy to create complex modulations – literally anything bouncing anything else around – very quickly indeed. And of course, once you do it, Pigments shows you in its uniquely visual manner exactly how you’re altering the end results. Honestly, I don’t feel I’m doing it justice with just words. You simply have to try it, as it’s one of the most joyous experiences you will have with a synth, not to mention being a fabulous education. 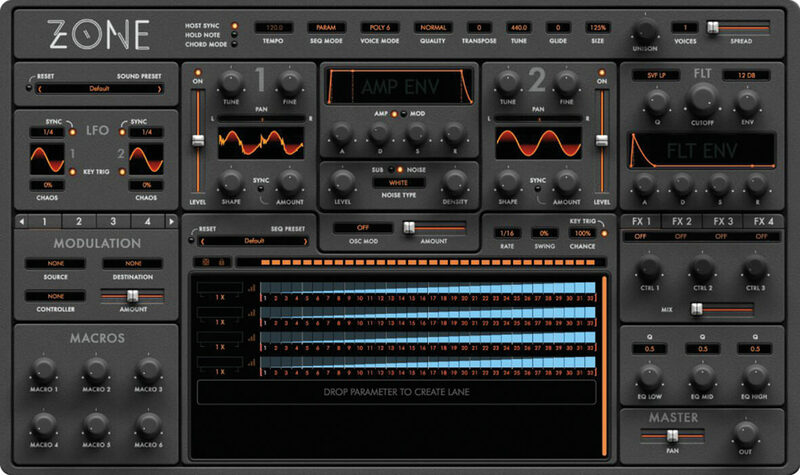 Want to learn about complex synthesis within a colourful, graphic and great-sounding synth? Pigments will show you, again and again. While I’m in the modulation part of the synth, I should quickly mention a couple of other tabs. Functions takes about five pages of the manual to explain itself – I’ll try it in a few lines. It’s essentially a way of creating complex modulation sources based on – you guessed it – more graphical lines, which you can place up to 64 parts on. You get three and they can be completely independent from one another. To be honest, I thought there was already enough going with the modulation part of Pigments, but this takes things even further – well beyond what you’ll be used to. And if it doesn’t, the Random tab will push you over the edge with three probability engines to cast chaos over, well, pretty much anything you like. Pigments is an impressively colourful synth, but the best part is that the colours become your guides for what is connected to what. Some great-sounding effects bring a lot to the sonic party. They might be basic in some ways, but they are, ahem, effective. 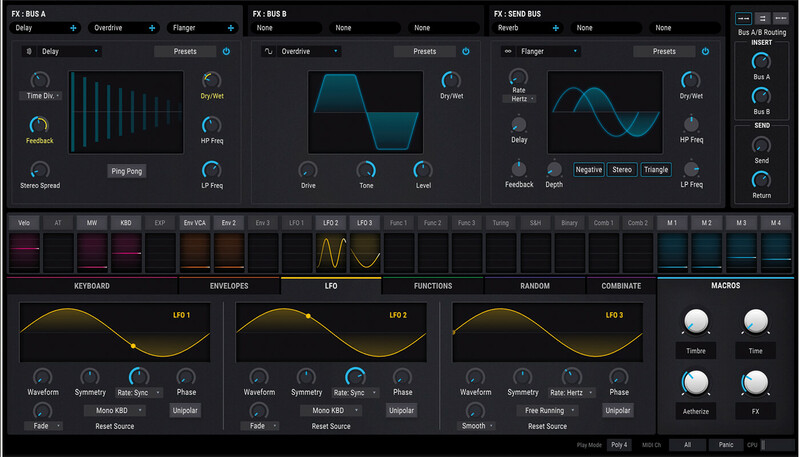 Don’t be underwhelmed by its great looks, because the sequencer is both powerful and very easy to use. There’s more, and this is where the synth does fall down a little, but it’s only got itself to blame. The bar has been set incredibly high with the modulation power and its implementation. You get all those dancing waves, and all of that colour coordination, so when you turn to the FX and Sequencer tabs – the other two main part of Pigmentss (see previous page) – the looks are a little less impressive by comparison. They both bring a lot to the synth, though. Effects include Delay, Bit Crusher, a delightful Reverb and nice and filthy Overdrive and Distortion models. You get three engines to load these into with routing options, and a few presets on offer per effect. Though in the shadow of the synth’s modulation power, the effects do bring a lot to the synth sonically. 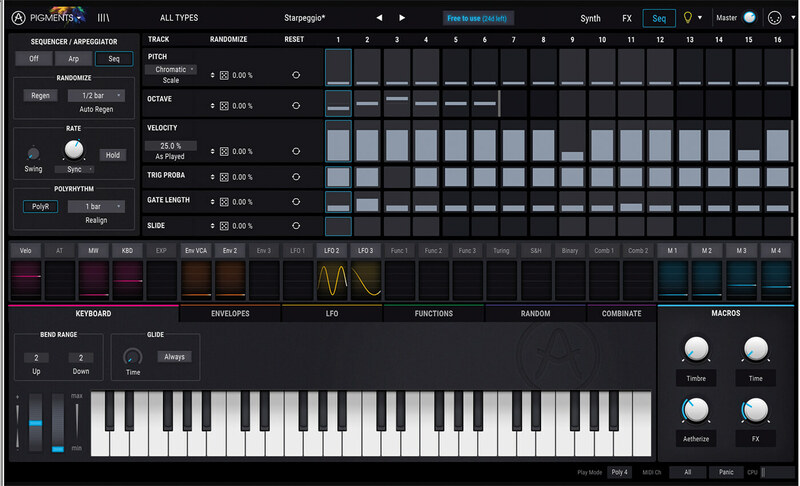 The sequencer might be a little grey, but it, and its almost identical arpeggiator, are fully featured. You get to program velocity, slide, trigger probability (nice), gate length, octave and (in the sequencer’s case) pitch. What’s really impressive is that you can set the number of steps differently for each of these lanes, so you can quickly get some cool and very changeable patterns going. So far, I’ve actually only been talking about the extensive sonic-sculpting capabilities of Pigments and, at this point, I realise all I’ve been doing is synthesising. With a synthesiser! Actually using it for what it is intended for, rather than, as mentioned earlier, just trawling through the presets as usual, like some kind of producer monkey with too many plug-ins on his hands. However, I do think it would be remiss of me not to cover these presets, even in passing. And it will be brief, as there are too many to detail in depth. Suffice to say that there are some wonderful ones: some pretty incredible evolving pads that take me right back to some of my fantastic 90s synth modules; some lovely atmospheric strings; razor-like leads; and quite indescribable evolving effects which display all sorts of hypnotic dynamics. In fact, this is where the synth is, of course, best. All of that modulation is best employed to that effect, so quite why there is a folder full of brass sounds is beyond me (I would say that, though, as synths ‘doing brass’ has always been a bugbear). But I guess the best thing with Pigments is that if you don’t like a preset sound – and there are one or two duds – you’re microseconds away from destroying it with its boundless synth, modulation, and effect options. Which brings us full circle and is a good place to sum up, because this is a synth that, finally, I will explore and create with. I promise you! I won’t just step endlessly through that massive bank of bass sounds, I’ll modulate, I’ll randomise, I’ll connect this up to this and affect that. I won’t quite know what I’m doing all the time, but what I do do will be dramatic and it will be revealed to me in all of its glory, to both my ears and my eyes. The only warning I would note is that you might feel a little overwhelmed at first, because there are so many options to modulate your sound. That’s not to say it’s a steep learning curve – although the manual is a deep one – but you will want to spend a while just playing, tweaking and twisting to get a proper feel of what Pigments can offer. But it’s so welcoming in this regard that any time you put in will be more pleasure than effort. Synthesising with a soft synth? Who thought I’d ever do that. Totally marvellous. 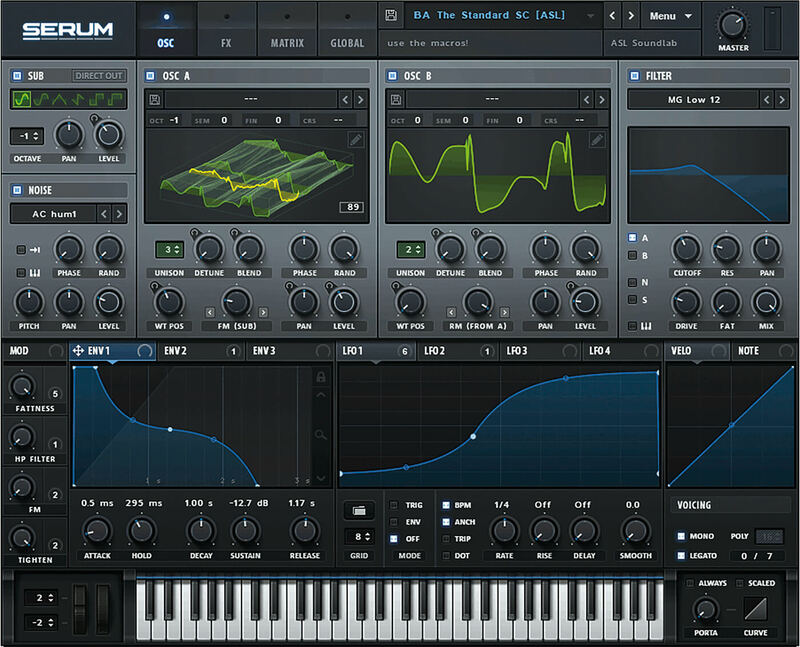 Serum shares similar wavetable strengths – real-time manipulation, wavetable import and more. It also throws in lots of mod options and has a similar look and feel, with a great interface offering fabulous ease of use. On page 94, we review a brand-new synth that does wavetable and something called Parameter Sequencing. The sonic end results are as dynamic and evolving as those from Pigments and it does atmosphere and pads just as well. – Brass sounds have no place here! One of the most visually appealing synths ever, with a sound to match.